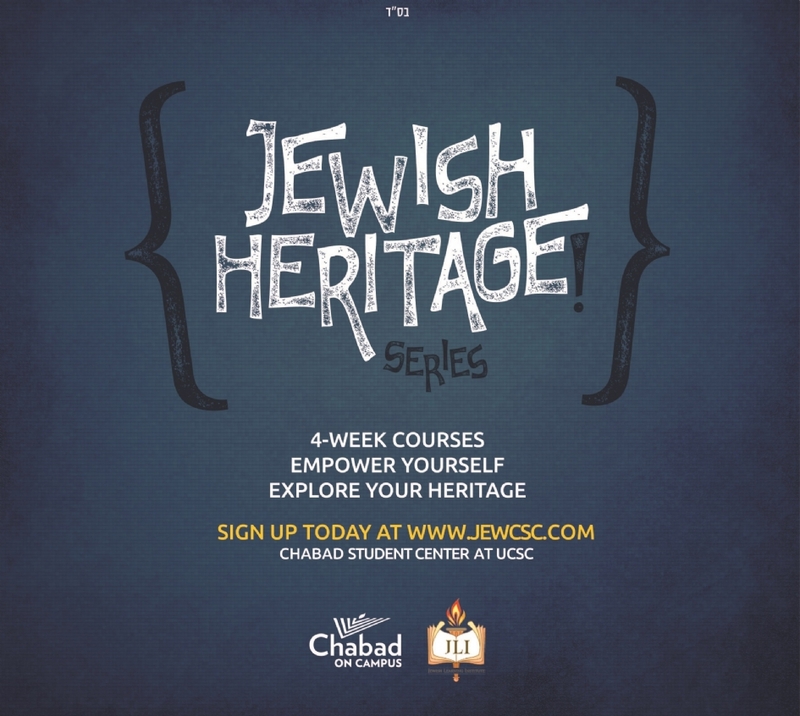 Do you want to explore your Jewish Heritage but don't have time for a big commitment? Do you want to know more about yourself, your history, your literature, but don’t know when or where to learn more? • Throughout the year multiple 4-week courses will be offered. • Each class runs 90 minutes. No homework. No paper. • Stipend: For every 4-week course that you complete you will be awarded a $100 stipend toward Jewish programming (trips to Israel, New York Shabbaton, your departure city for Birthright, Jewish Alternative Spring Break, etc.) OR $50 cash. • You can take as many courses as you like. Postponed to Winter Quarter. Dates TBA. Explore the nature of Jewish foods and reasons for Jewish eating practices. Each class is divided into two segments: 45 minutes of study with Rabbi Shlomie and 45 minutes of cooking with Devorah Leah. No homework. No paper. Twelve must-know excerpts of Jewish literature; insights that anchor us, empower us, and guide us in times of doubt and uncertainty; that nourish our inner oasis of calm and stability; that give us the confidence to navigate life’s challenges. Explore between the lines of the most famous set of laws in history - the Ten Commandments. What is it about these laws given to a small tribe in a barren desert that has perpetuated their relevance and placed them at the center of so many societies and civilizations?